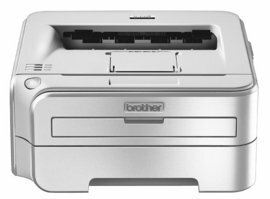 Brother HL-2140R is a model of the black and white laser printer A4. Has the cutest one can even say creative design. Made of quality environmental plastic. Permission is 2400 x 600 dpi. Print speed is 22 pages per minute at the time of release of the first fingerprint 10 seconds. Tray paper standard 250-sheet. Conclusion the paper also a standard 100-sheet. Size is average 368 x 170 x 361 mm, weight 6.8 kg.